Samsung's last year Gear 360 camera is on sale on Amazon for exactly 60% off, allowing customers to buy one for just $92. If you're in need of a 4K VR camera, Amazon's deal is hard to beat at the moment, so you might not find a similar for a long time. 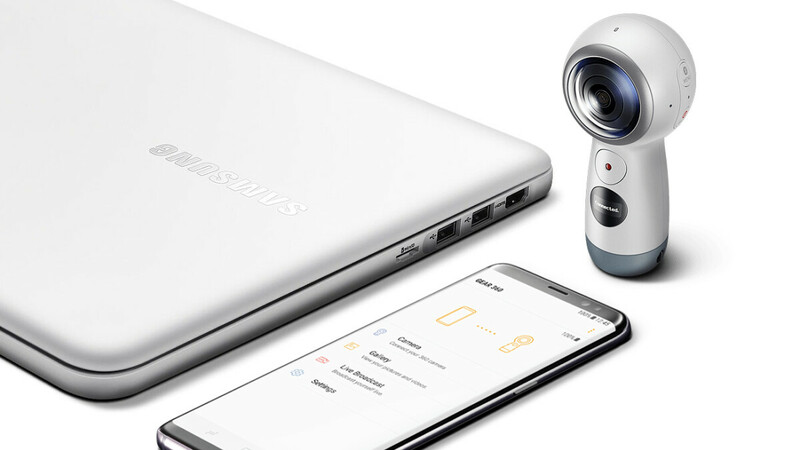 On the other hand, this isn't the new Samsung Gear 360 camera that the South Korean company launched earlier this year, though there aren't too many differences between the two models. It's worth noting that Amazon is selling the US version with warranty, so you won't have to worry about software and hardware support (hopefully). Also, if you prefer to buy the camera along with a 128GB memory card, you can choose the special bundle up for grabs on Amazon for just $132. So, the deal that puts the Samsung Gear 360 (2017) camera to just $92 upfront includes just that, the camera. Keep in mind that it will work with Samsung Galaxy S8, S8+, S7, S7 edge, Note 5, S6 edge+, S6, S6 edge, A5/A7(2017) running Android 5.0 or later. If you're an iOS user, the camera will also worth well with the iPhone 7, 7+, 6S, 6S+, and SE running iOS 10.0 or later. However, there are functional limitations when using the Gear 360 (2017) camera with iOS devices.